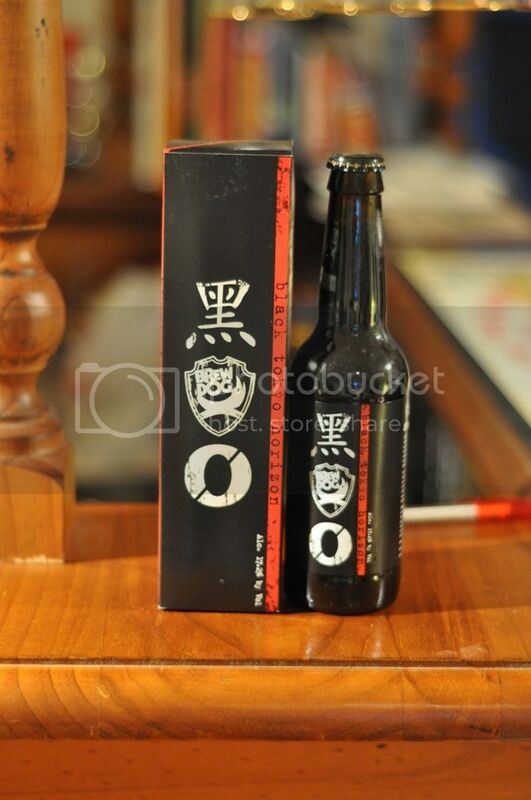 'This collaborative beer was created when the paths of Mikkeler, Nøgne Ø and BrewDog merged. It is an equal combination of ideas and inspiration extracted from each brewery's respective huge stouts, Black, Dark Horizon and Tokyo*.' WOW! Could this beer ever be bad? Not a chance! What better way to start this review than from the words from the box, This beer is a collaborative effort of 3 of the most progressive brewery's in the world. I'm not always the biggest fan of big stouts but this collaboration definitely made me want to re-evalate my stance on them. At 17.2% it's an absolute monster, but considering BrewDog's past experiences the abtly named End of History comes to mind, it should still be a stunning beer. This beer is fantastic to pour, it is the blackest beer I have ever seen and has a very thin coffee coloured head. When held up to the light you can see absolutely no light through it, you really have to see it to believe it. There are no visible bubbles, as to be expected from a stout. The head dies down very quickly and there is little to no lacing. It looks perfect, you couldn't ask for a better looking stout. This is very close to the best thing I have ever smelt, let alone the best beer. This stout is just so incredibly complex in it's aroma, it smells like a rich fruit cake that is covered in booze. The malts are well charred and it has a strong dark chocolate or licorice smell. There is a mild caramel odour but lots of alcohol soaked dark fruits; blackcurrants, raisins etc. 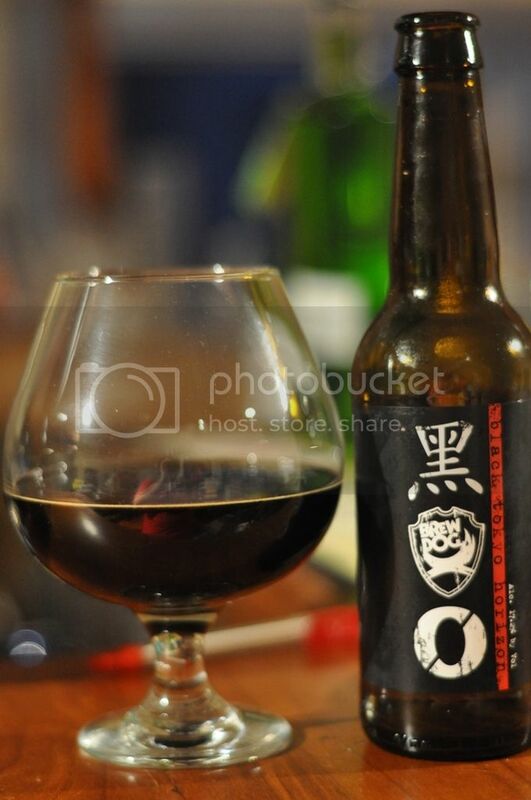 There is also an almost balsamic vinegar-like quality to the finish on the nose, but very little in the way of raw alcohol, it really is living up to it's billing as one of the world's best beers! Amazing! It absolutely is better than any of the three stouts it is inspired by, it's the best stout I've ever had by a country mile. Some people may say it's a little too sweet at frist with lots of caramel and licorice before some balsamic takes over. After this initial sweetness a smokey coffee like taste comes across, you can definitely feel the alcohol but you certainly can't taste it which is the main thing for me. It certainly warms you up, maybe too much as I'm getting a tad warm as I write this. Unusually for a stout there appears to be significant hopping to this beer, and by their bite you can tell they are of excellent quality, I would suggest the Norwegian brewery, Nøgne Ø, produced these hops. The finish is very thick and has elements of the aforementioned dark fruits and bitterness from the chocolate and something that reminds me of aniseed. My words definitely haven't done this beer justice, there is just far too much going on to describe. Incredible! I will leave you with more words from the commemorative box, which I feel sum up this beer perfectly. "A chorus of non-conformity emerges to venture down a path untraveled. With loads of dark malts and prodigious hops, this ultimate imperial stout yields an aura of mystery and adventure, inspiring imaginations and challenging convention and jaded orthodoxy. This is an unearthing; this is the Black Tokyo Horizon." And it's absolutely Brilliant! Simply the best beer I've ever had!